Parliament voted on the evening of 1 April in a series of indicative votes to determine what, if any, alternative plan for withdrawal from the European Union could command the support of the House of Commons: all plans put forward again failed to command a majority. In a recent intervention, John Finnis has suggested that the government should prorogue Parliament until after 12 April in order to terminate the current parliamentary debate. Mark Elliott has offered a critique of the broader implications of this argument, namely the claim that such a course of action would be ‘(…) wholly legitimate as a matter of constitutional principle.’ Elliott concludes that parliamentary control of the process is entirely legitimate and in keeping with the British constitution. This piece adds to this analysis by elaborating why the prorogation Finnis advocates under these specific circumstances would be, as Elliott summarily puts it, ‘(…) an argument for unconstitutional action on the part of the Government.’ The piece develops a twofold argument: first, that ministerial advice tendered to seek a prorogation of Parliament under these circumstances is unconstitutional and that the Monarch should disregard it as a matter of constitutional convention; and second that holding otherwise would in effect grant the Prime Minister an unqualified veto over parliamentary business, leaving the government in an unconscionable position of power over the sovereign Parliament. Such an outcome would be fundamentally at odds with British parliamentary democracy, especially principles of democracy and representative and responsible government. The Cabinet Manual defines prorogation as the conclusion of the parliamentary session and a recess causing an effective suspension of the parliamentary process. Prorogation is a personal prerogative of the Monarch exercised on the advice of Ministers. Pursuant to a strong constitutional convention the Queen will only exercise this power in a politically uncontroversial and predictable manner. Typically, there is no conflict between this convention on prorogation and ministerial advice, as ministerial advice tendered by the government has been uncontroversial and predictable. Barring the notable exception of a General Election, a session of Parliament will last for one year interrupted by a recess period lasting a few days before reassembly for a further one-year session. The current session has exceptionally lasted for more than a year in order to facilitate the legal implementation of Brexit. There are two notable exceptions from the 20th century when a session of Parliament was ended early by prorogation. In 1948 a Labour government instituted a short session of Parliament to overcome the House of Lord’s obstruction to what would become the Parliament Act 1949. The session began on 14 September and ended on 25 October 1948. However, while certainly an unusual prorogation, it was not politically controversial in the sense considered here. A clear majority of MPs clearly desired the legislation to pass and were in favour of prorogation to achieve this outcome. A more recent example of an allegedly controversial prorogation occurred in the run-up to the 1997 General Election. Two Conservative MPs were accused in a Guardian article of taking money in return for submitting questions to Parliament. The aptly named Cash for Questions affair led the then Prime Minister Major to establish the Committee on Standards in Public Life, whose report was scheduled to be delivered before the next General Election. Faced with the imminent publication of the report, it has been alleged that the Prime Minister opted for an early prorogation, leaving an unusually long time period before polling day in order to avoid embarrassment. However, it must be reiterated that even this allegedly controversial prorogation was ultimately in facilitation of a General Election, and therefore in line with precedent and supportive of the constitutional convention on prorogation. The convention on ministerial advice stipulates that the Monarch will generally follow the advice given by Ministers when exercising personal prerogative powers. The reasoning is that it would be difficult to justify vesting prerogative powers in a Monarch without a convention that ties the exercise of these powers to the government which is ultimately accountable to Parliament. At first glance, this cardinal convention on ministerial advice would appear to suggest that the Monarch is bound to follow ministerial advice on prorogation, regardless of how out of step with the established convention on prorogation. However, it is worth going beyond this initial impression to consider the deeper relationship between the convention on ministerial advice and on prorogation. Thankfully there are some enlightening parallels to the debate on royal assent, where the debate has been more robust and nuanced. Scholarly opinion on royal assent and ministerial advice can be broadly divided into two camps. On one view it is a mistake to assume that the convention on ministerial advice applies to royal assent or at least to assume that they conflict on their proper interpretation. This position has recently been advanced by Mark Elliott. He argues that ministerial advice to withhold royal assent would interfere with the constitutional bedrock of the constitution: Parliamentary sovereignty. It is Parliament, not government, that can make and unmake any law and this is incompatible with an unqualified veto of the Prime Minister over bills that have duly passed both Houses. The convention on ministerial advice can only come into play if there is any doubt as to what the Monarch ought to do in a given situation. Given parliamentary sovereignty and the convention of invariably granting royal assent, Elliott argues there is no such reasonable doubt. Nick Barber reaches a similar conclusion, but bases his argument on the principle behind the conventions on royal assent and ministerial advice. He argues that no meaningful conflict arises between them: both conventions ultimately serve to uphold principles of democracy, representative and responsible government. It is contradictory therefore, so argues Barber, to hold that the ministerial advice convention can justify an outcome contrary to the ordinary application of the convention on royal assent: namely, that the Monarch will grant assent to any bill that has been duly passed by both Houses. Not everyone shares this view on the interplay between the conventions on ministerial advice and royal assent. Adam Tomkins, Rodney Brazier and Robert Craig suggest that the ministerial advice convention applies to royal assent and may require the Monarch to withhold assent even if a bill has duly passed both Houses. They point to some limited historical precedent from the UK and other Westminster style systems to support this argument. Crucially, their arguments are predicated on the idea that MPs could, in the event that the Government advises to withhold royal assent, move a motion of no confidence in the government. However, by convention this motion would only be tabled by the Speaker if proposed by the leader of the opposition and is further tempered through the requirements of the Fixed Term Parliament Act. As we have seen, the ministerial advice convention serves constitutional principles of democracy and responsible and representative government. The constitutional convention on prorogation serves much of the same purpose. The predictable and politically uncontroversial exercise is designed at least in part to prevent abuses of power by the government and consolidate Parliament’s relevance as a constitutional actor. In this sense, both conventions ultimately serve the same ends. It is true that it is common practice under the Standing Orders for the Government to enjoy considerable influence over the business of both Houses. This is largely uncontroversial for instrumental reasons: a government that commands the support of the House of Commons is granted some leeway to implement its legislative agenda. However, it is less clear, as Elliott argues in his post, that this common practice has any implications for the underlying constitutional position. Parliament has every right to determine the ‘(…) legal parameters within which the Executive branch is permitted to operate.’ Likewise, significantly shaping and setting the business of Parliament with the consent of MPs in order to implement a legislative agenda is one thing, using a prerogative power to effectively eliminate Parliament as a constitutional actor is quite another. The former is a politically acceptable consequence of a government enjoying the confidence of the House of Commons. The latter is an unconscionable abuse of procedural power. Prorogation deprives Parliament of any ability to fulfil its deliberative and legislative function, and crucially to hold the government to account for its exercise of prerogative powers through committees, inquiries and ultimately through motions of no confidence. If ministerial advice were to trump these considerations, then it would in the words of Barber (speaking on royal assent) ‘(…) operat[e] against democratic values rather than upholding them. Rather than supporting parliamentary government, it would undermine it.’ Crucially, this view would likely be shared even by those who in the context of royal assent argue for a stronger role of ministerial advice. This is because their arguments are premised on Parliament’s ability to hold government accountable for tendering advice to withhold royal assent. With prorogation this crucial safeguard is not available: a Parliament in recess cannot move a motion of no confidence. As Anne Twomey concludes in her excellent book The Veiled Sceptre at least where a government has or is poised to lose the confidence of the House of Commons it is ‘(…) not entitled to remain in office and continue governing simply because it can exercise procedural powers to avoid proof of the loss of confidence in it.’ It would be hoped that this much at least is common ground regardless of one’s views on ministerial advice. Parliament is a deliberative body and coming to a majority decision through compromise and debate are core to its constitutional and institutional roles. If preventing a debate and vote on bills amounted to constitutionally permissible grounds for prorogation, then Parliament’s role and relative strength in the constitutional framework would be greatly diminished in favour of an overpowering executive. The government could and certainly would veto legislation whenever it pleases and in time use the threat of prorogation to whip backbench and opposition MPs into submission. The better view is therefore that the Monarch should reject ministerial advice on prorogation under exceptional circumstances such as these and thus uphold the primacy of Parliament in the British constitution. 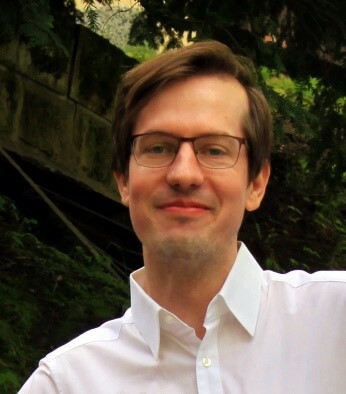 Stefan Theil is a Postdoctoral Research Fellow at the Bonavero Institute for Human Rights, Faculty of Law, University of Oxford. It is not the prorogation that is unconstitutional, but the period between the ending of the one session and the commencement of the next. The Declaration of Right provides “And that for redress of all grievances, and for the amending, strengthening and preserving of the laws, Parliaments ought to be held frequently”. The three immediately preceding Parliaments, the Exclusion Parliament, the Oxford Parliament and the Loyal Parliament had all been prorogued or dissolved to avoid Parliament addressing the Commons’ grievances. That is exactly the action which is now suggested and there is nothing more unconstitutional in our unwritten constitution than a clear breach of the Bill of Rights. The failure of MPs to keep their undertakings is now undermining the confidence of the electorate in Parliament to represent its requirements, especially if it appears members of Parliament think differently from the electorate. Yvette Cooper is a contemporary and very clear example of this – she clearly is motivated by her desire to Remain in the EU, despite her promises to her electorate, manifesto and weasel words and a 70% vote of her constituents to Leave. Parliament’s failure, along with that of the PM and Cabinet to deliver Brexit of any kind after nearly 3 years is another obvious current example. The constitution needs to provide much better mechanisms by which the people can act to control an unresponsive, failing or unrepresentative Parliament or MP much more quickly. With Parliament in control of the law and such changes necessary, this is likely to be difficult to achieve! And of course over centuries the supremacy of Parliament has mostly worked, even if crudely. But is it not time for Parliament to submit to the people when people’s confidence in it is lost? I am not a constitutional expert (yes, I can imagine the gasps of amazement), but many of you are. I’d love to hear some succinct well-founded ideas on how this might be achieved, anyone please? This answers the question of whether the Government would be entitled to offer such advice. It does not answer the question of what the Queen should do if the Government actually goes ahead and advices the monarch the withhold assent. Should Her Majesty act contrary to ministerial advice because her ministers are not entailed to offer such advice? Constitutionally, this would seem correct, but politically, it may not be quite so. Here, there is the argument that the Queen does not have a direct relationship with the Commons, her relationship is with her ministers who act as delegates, representatives, or envoys of the House. If the Commons does not like the advice which its ministers give, it can remove the Government or ministers. The forgoing analysis suggests that the better view is that, should the executive do the unimaginable and advice the Queen to withhold assent, Her Majesty should accept such advice. It is not for the Queen to arbitrate the relationship between Executive and Parliament. Say the Queen refuses to accept ministerial advice relying on constitutional principle as expounded by Elliot, and say the Government subsequently returns to the Commons where it unexpectedly wins a vote of confidence, would the Government then be able to prevail over the Queen? This entry was posted on April 3, 2019 by Constitutional Law Group in Europe, European Union, UK government, UK Parliament and tagged Cabinet Manual, constitutional conventions, ministerial advice, parliamentary session, Parliamentary sovereignty, prerogative power, prorogation, Royal Prerogative.